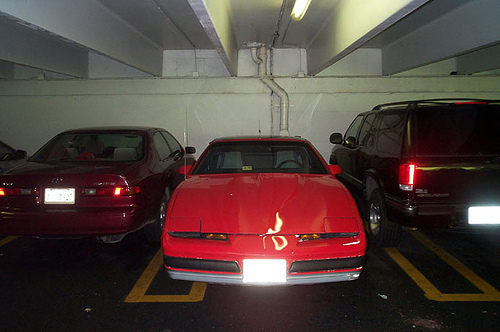 Auto door protectors and door edge guards prevent two different types of parking lot damage. If you are looking for products to prevent parking garage damage to your car doors then you should know that there are two types of door guards. Car door protectors will protect the length of your doors from dings while your car is parked. Car door edge guards protect the edges of your doors from hitting the parking garage walls or cars that are parked closely to you. The car door protectors are very effective for preventing those annoying door dings and dents. The door edge guards can come in handy also by protecting the paint on the edges of yours doors in case it hits a car or wall when it is opened. You can use car door guards and door edge protectors to prevent door dents and dings as well as paint damage to the edges of your doors.